Three years ago our life was turned upside down when we welcomed Marlow a Springer Spaniel puppy in to our home. 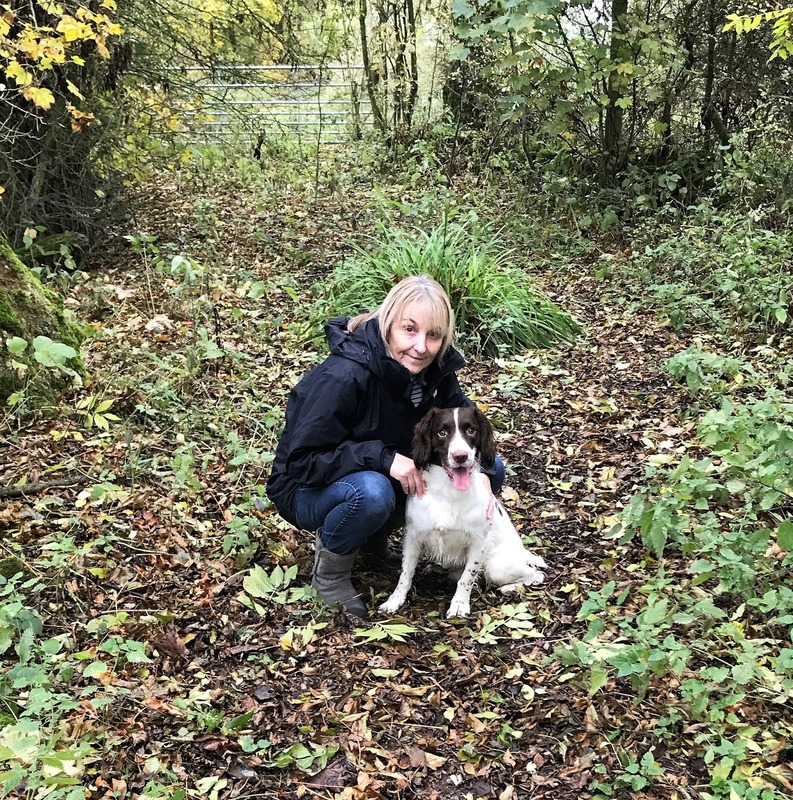 Little did we know the heartache that would follow and not to mention the trips to the vets and hydrotherapy, but even through all of this, Marlow takes centre stage in our lives, giving us untold pleasure and a tremendous amount of love, not to mention to doggy licks. 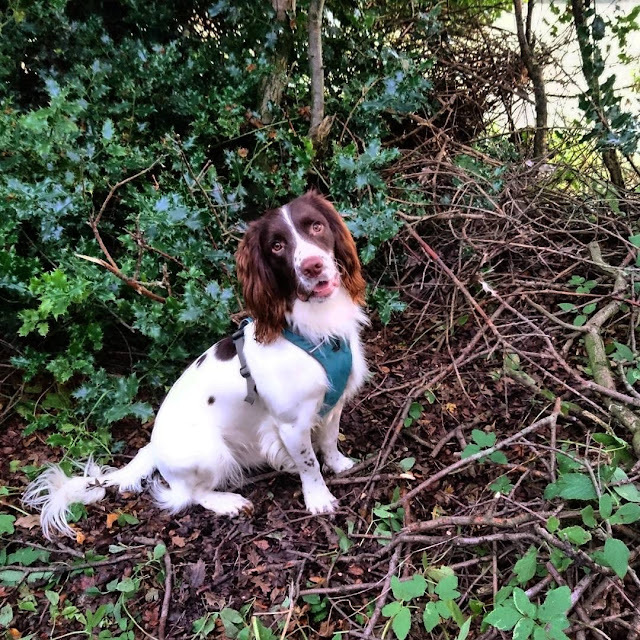 He is our super dog, full of bountiful energy who still loves to explore the countryside and undergrowth even after major surgery to remove his hip joint after an accident. 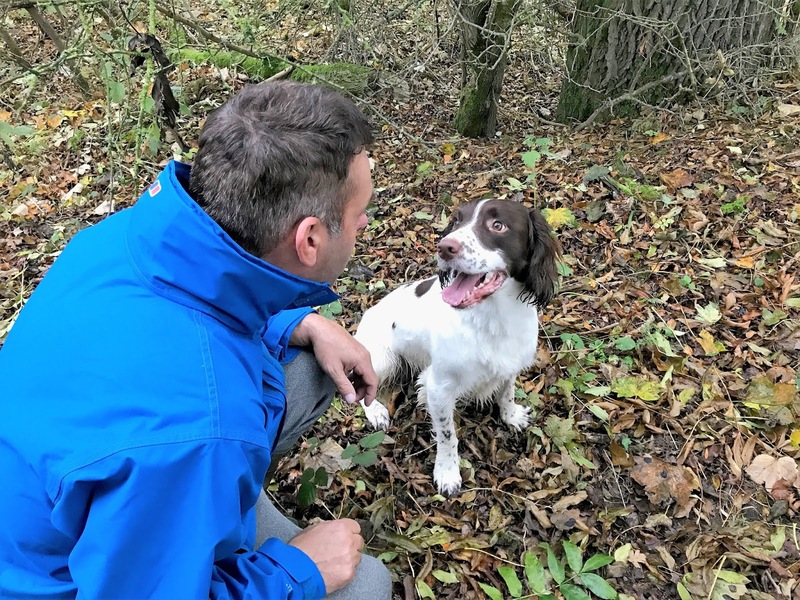 Springer spaniels make the most amazing companions, constantly wagging their tails and seeking out attention but if you are after a guard dog, then look elsewhere, be prepared for being licked to death. Lap cats have nothing on him, Marlow likes nothing better than cuddling up on the sofa after a long walk. Needless to say he often needs a bath when he comes home due to his love of the outdoors and muddy puddles, he adores being cosily wrapped in a towel afterwards. Marlow has a tremendous appetite and although he is fussy with dog food, when I am feeding the rabbit he has his daily portion of broccoli and carrot (raw), apparently it is good for them. We would not have him any other way, he compliments our life in so many ways. Living in the Peak District gives us ample opportunity to explore the great outdoors, so many beauty spots right on our doorstep, Dove Dale, Youlgrave, Padley Gorge, Castleton and Robin Hood Stride to name a few. All well worth a visit if you are in the area. 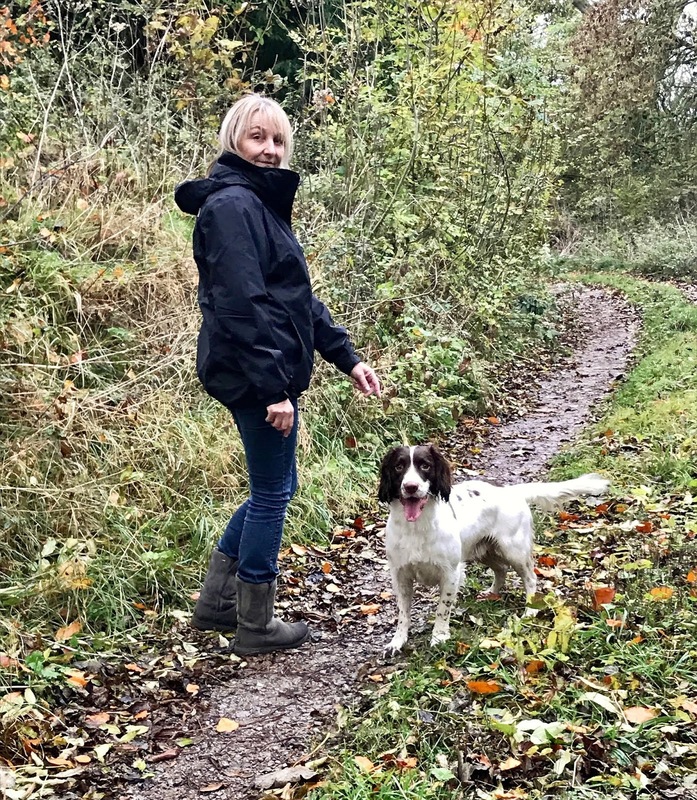 The weather can be quite changeable in the Peaks and ensuring you are wearing the correct dog walking clothes before you set out is essential. It can be quite surprising how the weather can change. 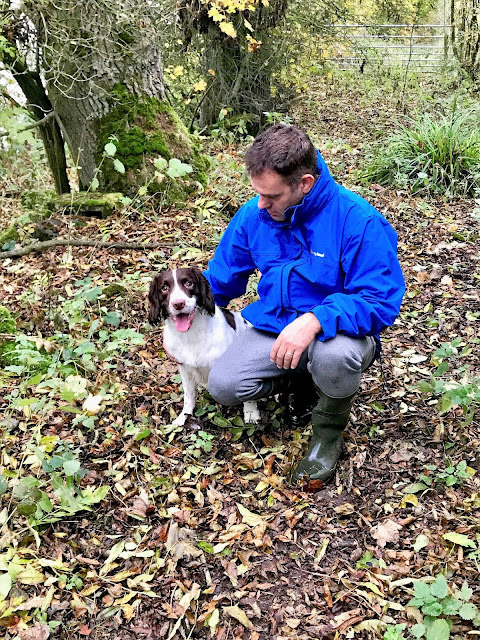 We were asked for our thoughts on a Men’s Waterproof jacket and a Women’s winter jacket from a selection at Millets online. 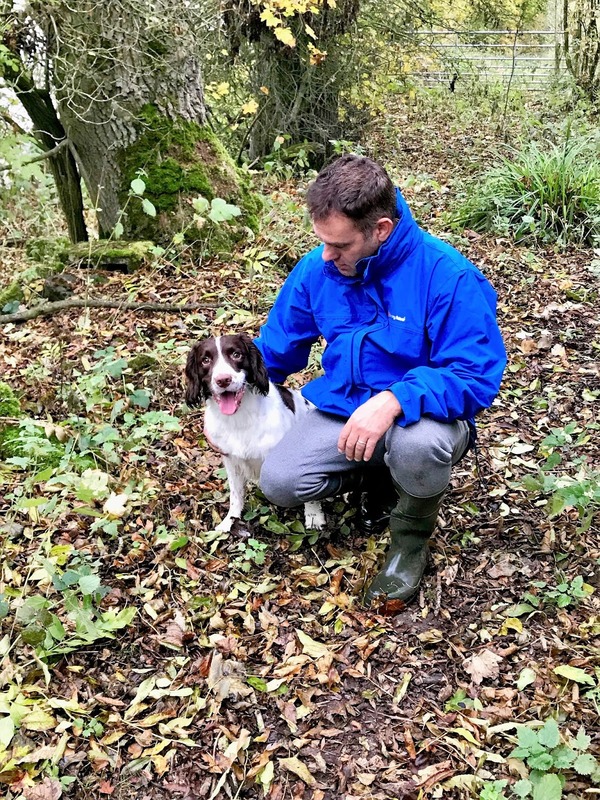 The Men’s Berghaus waterproof jacket hubbie was sent provides an excellent waterproof shell to protect your from the elements and is lightweight and breathable and he says it is really comfortable to wear. The Women’s North Face jacket I was sent is the Evolve II Triclimate 3 in 1 jacket. I love this idea, I can wear it has a fleece, as a waterproof or combine them together for warmth and protection against the rain. Millets sell everything you need for the great outdoors so if you are planning an outdoor adventure or camping trip it is worth taking a look at some of the offers they have on at the moment. Since receiving our new jackets we are even more prepared for the weather in the Peaks, although I don’t think they will protect us from Marlow and the muddy messes he brings home. 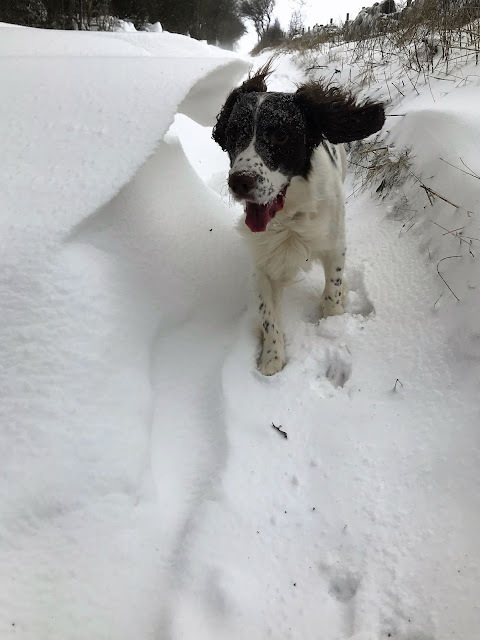 He cannot wait the snow to arrive again and hopefully we are better equipped this year to, thanks to Millets.